The heartless Shivans emerged through subspace near Earth, harboring technology light years ahead of anything seen before. They made no attempt to communicate. They did not respond to your heralds. They simply attacked and destroyed everything in their path. As a pilot for the Galactic Terran Alliance (GTA) you are no stranger to war. But when racing through space to engage your new enemy for the first time, you sense something different. Suddenly, darkness blankets your craft. Your stomach sinks as your eyes pan across the Shivan flagship's massive body. Then it begins. Swarms of fighters pour from the belly of the flagship and scream towards you. You are about to discover everything you thought you knew about space combat just changed. 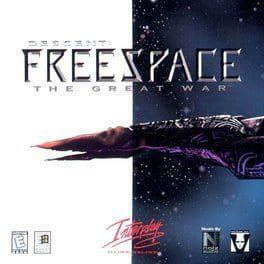 Descent: Freespace - The Great War is available from 1.98 to 5.99 from 1 shops.